Over recent years, veganism has gradually begun to sneak its way into mainstream life and culture. Vegan and vegan-friendly restaurants are popping up all over the place in most major cities, and even in some small towns. 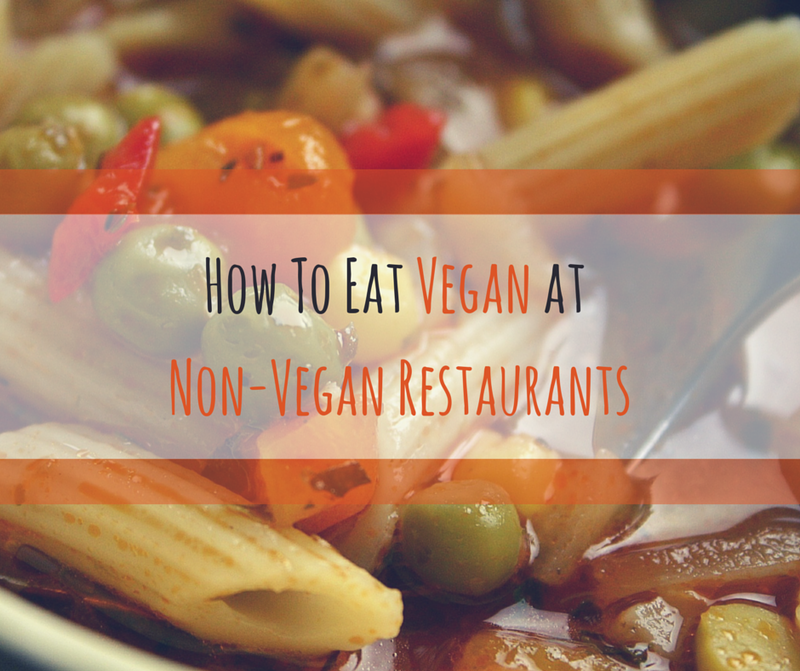 Eating out as a vegan is, thankfully, becoming easier and easier. Sometimes, however, we have to visit a non-vegan restaurant for whatever reason - perhaps we're out for a family dinner, maybe there aren't any vegan or vegan-friendly restaurants near-by. When this happens, we need to know how to score a little more than a slice of bread or a lettuce leaf! For experienced and reputable chefs, veganising any meal on the standard menu shouldn't be difficult - but most won't go this far. Unfortunately, many non-vegan restaurants, pubs and cafes use pre-cooked or pre-prepared foods in several of their menu items. This means that they're probably not willing or able to make these items up from scratch in a veganised form - so we'll have to compromise. Here are some simple, easy ways to make sure you're served a delicious vegan meal the next time you visit a non-vegan restaurant. Most modern restaurants, pubs and cafes offer at least one or two vegetarian options on their menu - if they don't, they're missing out on loads of potential customers. Usually the vegetarian options are limited to pasta and salad, but that's not all bad. Pasta is generally delicious, and salad can be just as good if made correctly! Some restaurants may go a little further, offering veggie burgers, rice dishes and soups. Many of these vegetarian options may already be vegan - check with the chef to make sure. If, however, the vego options contain egg or dairy, a hospitable chef should be happy to work with you to veganise your meal. If you're uncomfortable mentioning your veganism (perhaps you'd like to avoid the 'drama' this can ignite), tell them you're allergic to egg and dairy, or tell them your doctor advised you against eating animal products for health reasons. The cooks will be more likely to be careful with your meal if you order this way. If removing cheese, egg or milk from your order takes away some of the flavour, request some alternative seasoning or condiments. Rich, flavorsome vegetables - such as olives, avocado or spinach, spices and/or herbs are recommended. If you're going out for dinner with non-vegan family and friends and they're not willing to go to an all-vegan or vegetarian restaurant, suggest Asian, Mexican or Indian cuisine. Or, if you don't have any vegan or vegetarian restaurants in your area but do have access to this kind of cuisine, prioritise it. Many such restaurants offer a variety of traditionally vegan or vegetarian options. 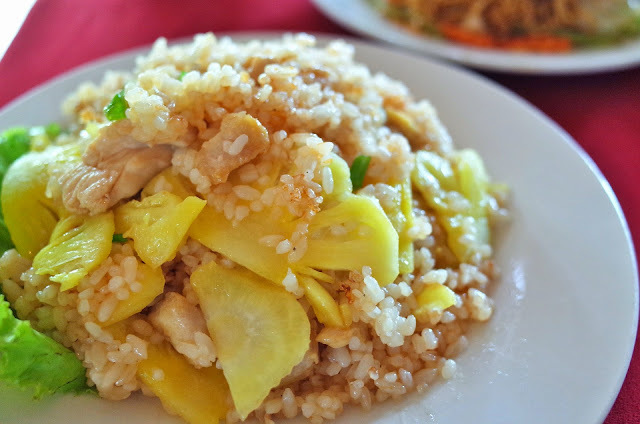 Asian food, for example, consists predominantly of rice, noodles and seasonal vegetables - all delicious vegan staples. Tofu is also easy to come by. Mexican restaurants, such as my local Montezuma's and Zambero, offer several vegetarian options that can be veganised by ordering without cheese. My favourite Mexican restaurant, for example, offers delicious vegetarian salads, dips, tacos, burritos and enchiladas. The tacos, burritos and enchiladas are made with re-fried beans and are usually topped with cheese - I just ask for them to veganise the meal and I've never had any issues. As India's population is approximately 40% vegetarian, their traditional cuisine is bound to be largely suitable for them. Most Indian restaurants offer many vegan and vegetarian options along with meat-based meals, so all members of the family should be satisfied. Popular vegan meals at Indian restaurants include aloo gobi, dal, spring rolls and chickpea curry. If the restaurant, bar or cafe's chef is friendly and hospitable (and has fresh food available rather than pre-packaged) they may be willing to prepare a fully customised meal to suit your needs - or, at least, a significantly altered version of a standard menu option. If there's a non-vegan and non-vegetarian pasta option on the menu, for example, first make sure that the pasta itself doesn't contain egg, as it sometimes does. Once you've confirmed the pasta itself is vegan, ask for a different, vegan-appropriate sauce such as napoletana. Request whatever vegetables and extra condiments you desire, and be sure to ask for no cheese. Many rice dishes could also be customised to suit your needs - ask for a rice-based meal with seasonal vegetables and a sauce of your choice. Sometimes, you may find yourself in a situation where the chef isn't willing to prepare a fully customised or even slightly altered meal for you. I mean - I've been to restaurants where my requests for a small bowl instead of a large plate were denied! In this case, a simple salad may be your only option - or, perhaps, a simple bowl of hot chips (provided they're not cooked in animal fat). 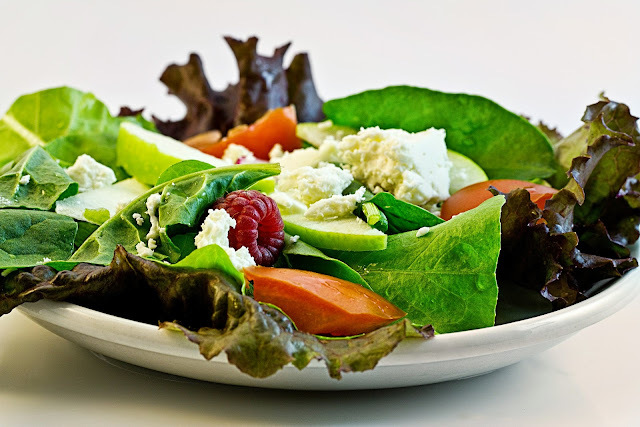 If the restaurant you're visiting doesn't offer salad of any kind - well, your family probably needs to find a better place to eat! Opinion: Should Vegans Feed Their Cats Meat?